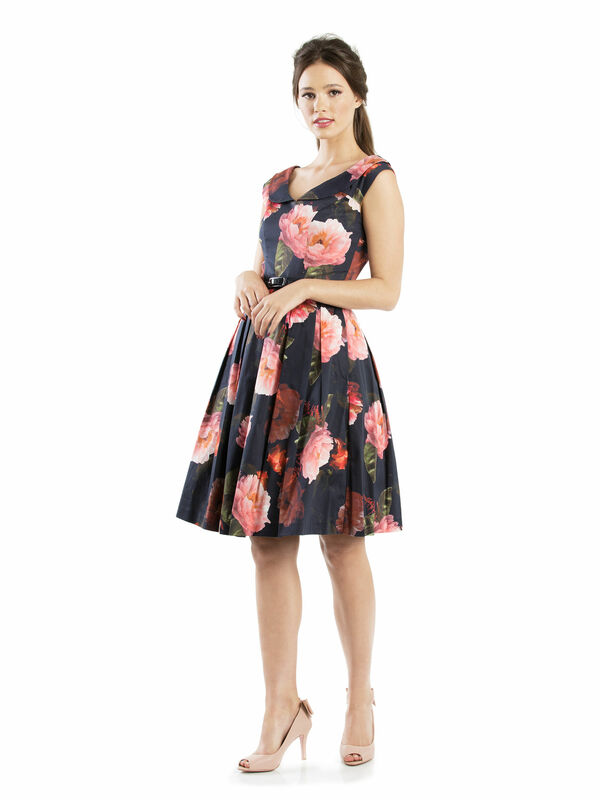 Mystic Floral Dress https://www.review-australia.com/asia/mystic-floral-dress-midnight/RE19DR460.RENVY045.html A winning choice for weddings, parties, anything, the Mystic Floral Dress is a ravishing look. 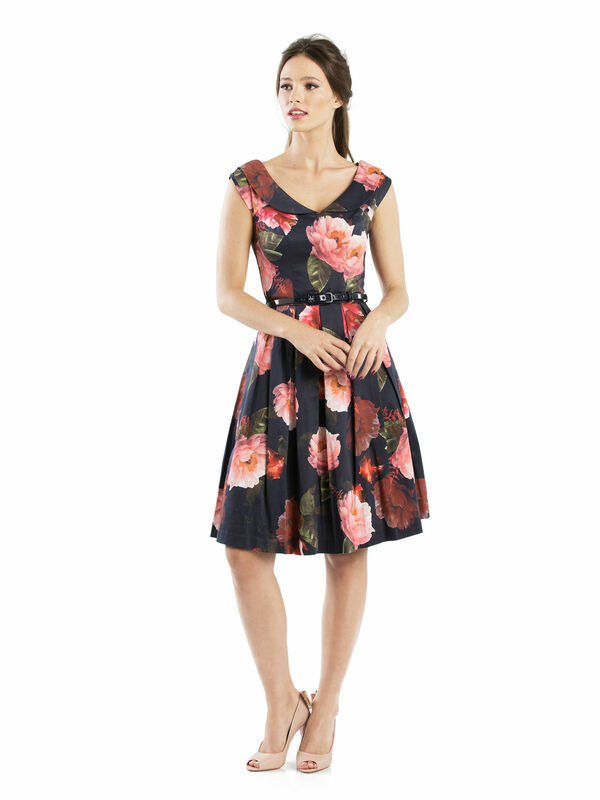 Gorgeous salmon-pink flowers explode against a midnight blue background, while sweetness comes from the Peter Pan collar, a removable navy-gloss belt, and long pleats that contour the skirt. 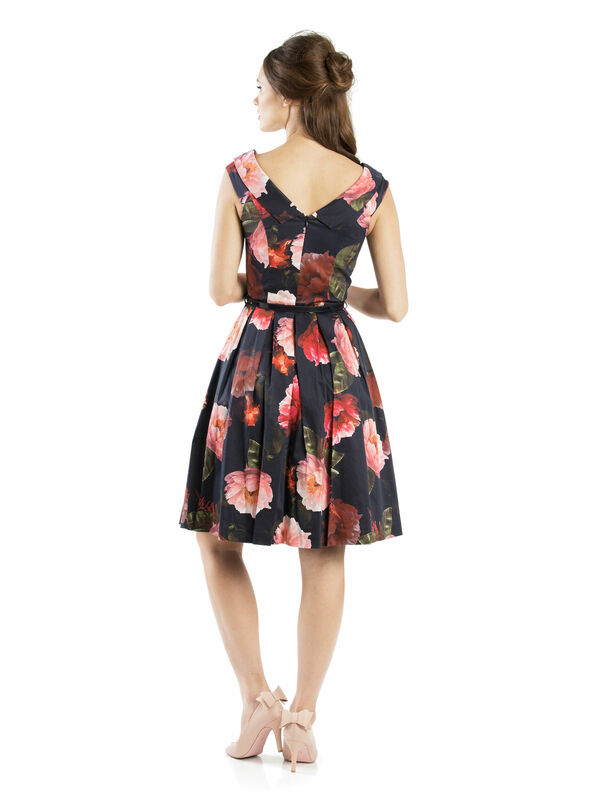 A concealed zipper at the back ensures an elegant finish.